Historic preservation, which started as a grassroots movement, now represents the cutting edge in a cultural revolution focused on “green” architecture and sustainability. 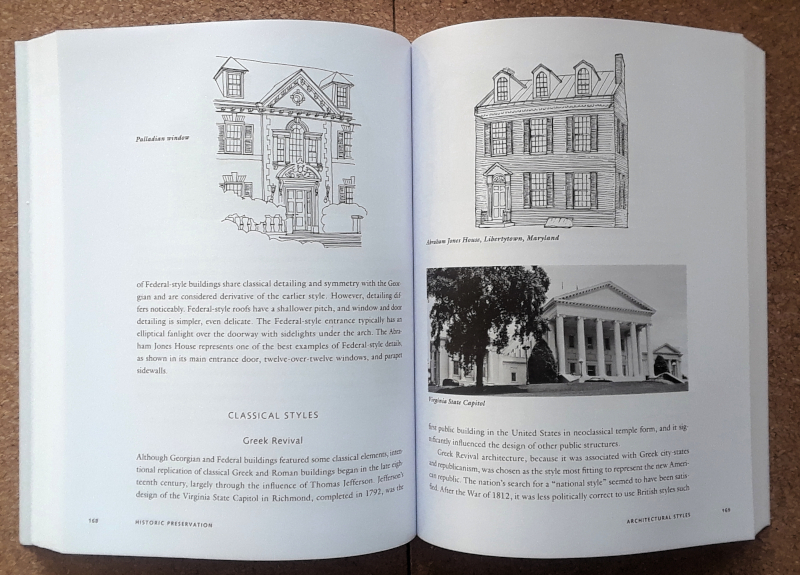 This book provides comprehensive coverage of the many facets of historic preservation: the philosophy and history of the movement, the role of government, the documentation and designation of historic properties, sensitive architectural designs and planning, preservation technology, and heritage tourism, plus a survey of architectural styles. An ideal introduction to the field for students, historians, preservationists, property owners, local officials, and community leaders, this thoroughly revised edition addresses new subjects, including heritage tourism and partnering with the environmental community. 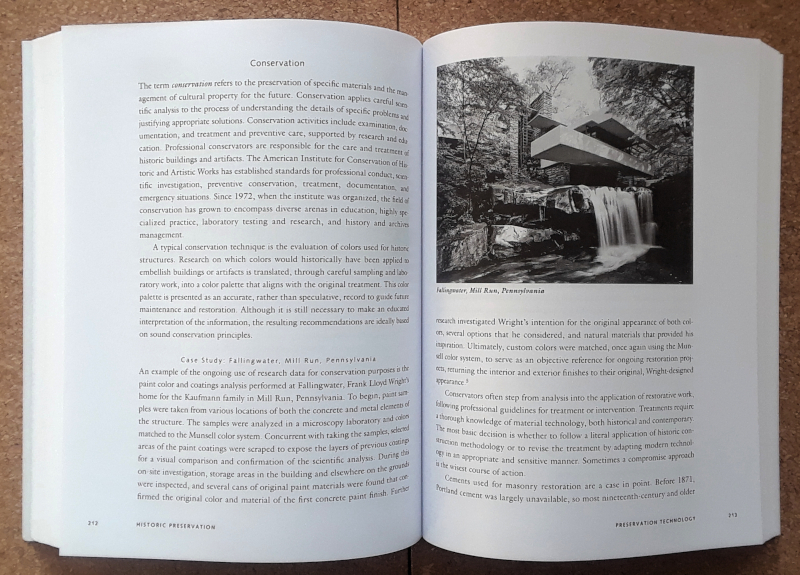 It also includes updated case studies to reflect the most important historic preservation issues of today; and brings the conversation into the twenty-first century. 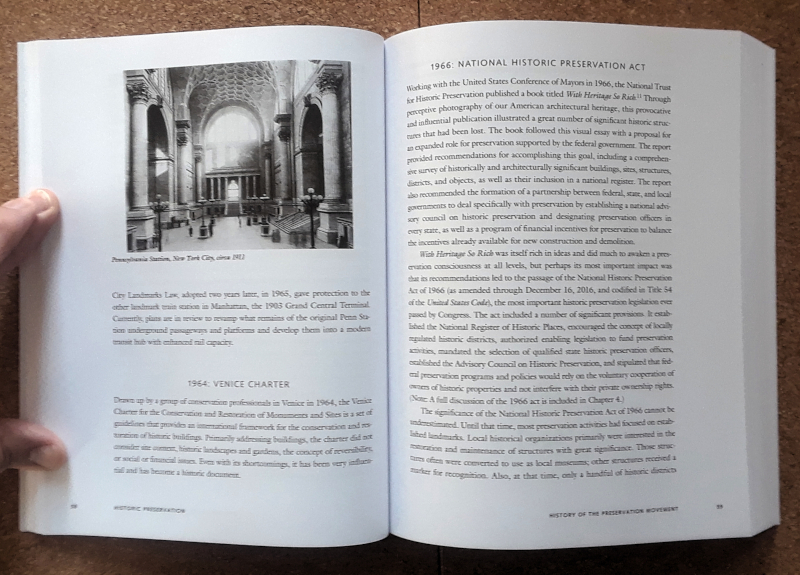 Twenty-five years ago, in 1994, the first edition of Historic Preservation: An Introduction to Its History, Principles, and Practices was published, more than 25 years after the National Historic Preservation Act of 1966. Just as a lot changed between the passage of the Act and the book's first edition, a lot has changed in the realm of historic preservation between 1994 and the book's third edition last year. Most notably, buildings from the Modern and Postmodern movements are now facing needs for preservation; with their sometimes innovative (in the realm of Modernism) or sub-par (re: PoMo) construction, the preservation of notable buildings in these styles faces tricky technical challenges. Additionally, preservation has become cool, addressed by Rem Koolhaas in an exhibition and publication; and older buildings have increasingly becoming the settings for important cultural institutions and other projects. 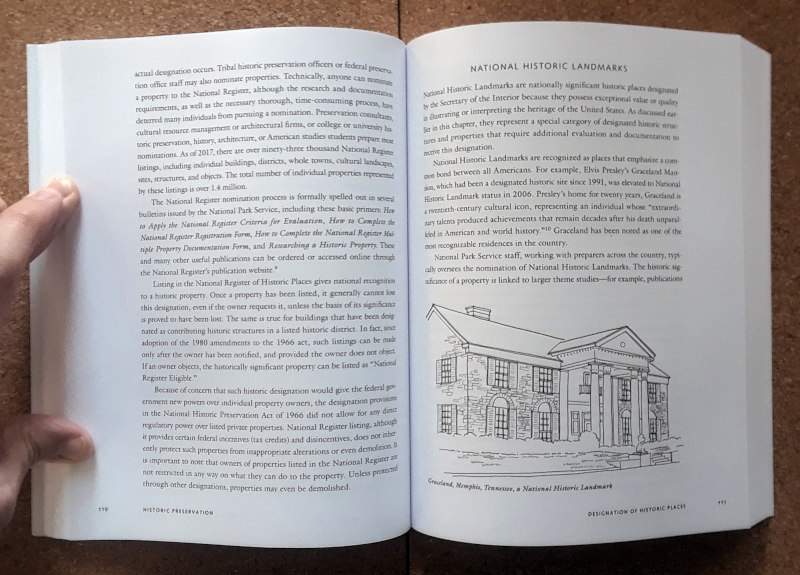 I'm not familiar with the 1994 and 2009 editions of Historic Preservation, but the third edition is an thorough overview of the field, from philosophies of preservation down to even some technical details. 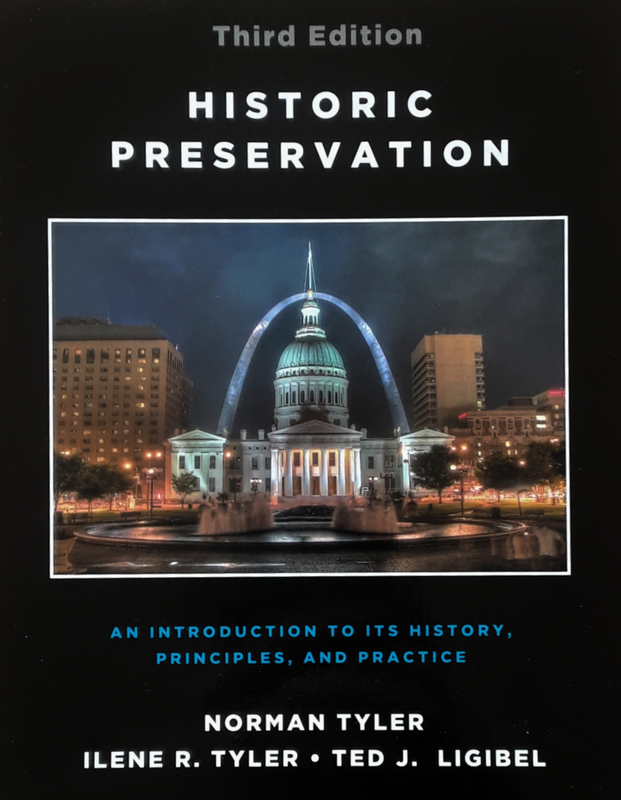 The introduction to preservation in the United States spans a dozen chapters that, among other things, present a timeline of important events in its history (such as the Act of 1966), provide an overview of architectural styles, and run through the legal and economic aspects of the field. Although too basic for preservation architects who may be looking for detailed information on the "practice" aspect of the title, the introduction is ideal for students and young professionals interested in the conservation of old buildings and landscapes; with preservation seen as an important aspect of sustainability and a means of addressing climate change, most architects should be interested. Norman Tyler is emeritus faculty of the Urban and Regional Planning Program at Eastern Michigan University. Ilene R. Tyle built her career as a preservationist through years of advocacy, writing, teaching, and leadership. She currently lives in Ann Arbor with her husband, co-author Norman Tyler. Ted J. Ligibel has been employed in the historic preservation field for over forty years as an activist, educator, and author. [He is] director of the Historic Preservation Program at Eastern Michigan University.